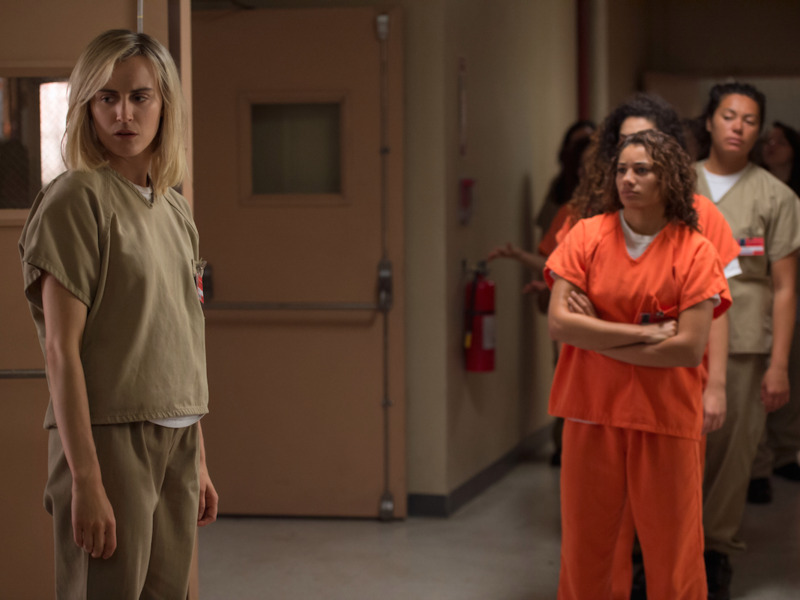 The fourth season of “Orange Is the New Black,” which premiered Friday on Netflix, goes down a unique new path, opening itself up like never before to the world outside the prison walls. For the past three seasons, Litchfield has existed like its own little world. But that’s no more. First, there’s a huge influx of new inmates. Predominately Latina, they shift the power structures of the prison. That starts to reorganise how the inmates are relating to each other and who they’re aligning with. Early on, it exposes the divides within a group — the Mexicans versus the Dominicans, for example. And that’s a type of racism that many viewers probably haven’t seen on a show before. Yes, minorities can be as racist and hateful to each other as any white bigot. Speaking of racist, there’s also a celebrity in the mix this season. “OITNB’s” prison is based on the Danbury Federal Correctional Institution. It’s where Martha Stewart and “Real Housewives of New Jersey” star Teresea Giudice spent their prison sentences. 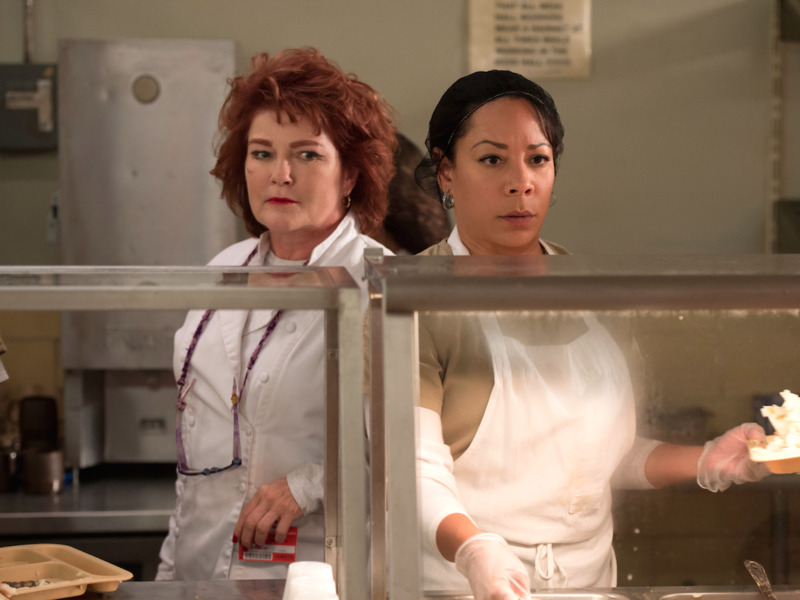 The show borrowed from reality and put a Martha Stewart-Paula Dean mashup of a character, Judy King (Blair Brown), in Litchfield. On first impression, she’s sweet and harmless, with some Southern charm. But she’s also self-serving, superior, and morally fluid. As the prison tries to avoid a PR nightmare with its celebrity inmate, there’s something very deadly about King. And finally, Litchfield is turning into a for-profit prison. That would seem like an improvement from the apathy and shortages of government funding, but capitalism is by nature about natural selection. There’s bound to be the haves and the have-nots. And decisions won’t necessarily be made in the best interest of the inmates, but rather based on what makes sense for the bottom line. Racial tension, financial inequality, and crowding. Exploring these things right now, in an election year, makes the show feel timelier than ever. Plus, viewers are all but promised that a war is brewing. “It’s like when the poultry people just stick all the chickens into one cage, and they start pecking chunks out of one another,” Brook (Kimiko Glenn) tells Poussey (Samira Wiley) after seeing a several inmates sporting the signs of physical altercations. The show feels edgier than it did last year, but even more importantly, it’s heading toward something explosive.